Published: April 10, 2015 at 01:56 p.m. Updated: April 16, 2015 at 01:57 p.m. The Seahawks and the Packers are the class of the NFC until proven otherwise. Free agency didn't change that a bit. 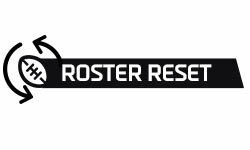 After a fun week recapping all the offseason moves in the NFC during our roster reset series, we have one big takeaway about the second tier of NFC hopefuls: They didn't stand apart. Last year's No. 3 squad, Dallas, took a step back. Philadelphia and New Orleans underwent fascinating makeovers, but are they better? Seattle's former top rival, San Francisco, is going through a mid-life crisis. Writers who pick a team other than Seattle or Green Bay to win the NFC this season will be looking for attention. Of course another team could emerge. Equally surprising stories used to pop up annually in the NFL, although there has been less change among the power elite of late. The Packers have the best quarterback and retained key free agents like Bryan Bulaga, Randall Cobb, and B.J. Raji. The offense, especially the line, could be in the best shape overall during the Mike McCarthy era. It's hard to see the Packers or the Seahawks fall off hard like the 49ers last season because they have one dominant side of the ball supported with balance. The Seahawks have a historically great defense with a still-improving quarterback. Jimmy Graham immediately upgrades the Seahawks' red-zone offense and fits Russell Wilson's skill set perfectly. Aaron Rodgers has developed into the most reliable weapon in football, but the Packers' defense is talented enough to dominate the NFC championship for 55 minutes. Now they just have to get back in that position. These teams are in order, but the order doesn't matter as much as the size of this group. The 11 teams should all see themselves as playoff contenders. They are also easy to imagine with a losing record if a few things go wrong. The line between 10-6 and 6-10 in the NFL is a thin one. Dallas had an epic offense last year, but a few less short-yardage pickups in 2015 could expose a defense that is still talent poor. They have one winning season out of four under Jason Garrett. Should we just ignore those other three seasons as indicators for Dallas? The Cardinals and Eagles lead the list because we believe they have the two strongest overall rosters beyond the top two teams. They can withstand injuries and have strong coaching staffs. Dallas, New Orleans, Carolina and Atlanta all need to be on here because of their quarterbacks. The Falcons and Saints have major questions on defense, but Drew Brees and Matt Ryan give them a chance to win every week. It's a lot easier to have a bounce-back season when you already have a top-10 quarterback in place. The Panthers could have the highest ceiling if their defense plays like it did at the end of 2014. The Giants' offense has the pieces in place to be a top-10 group. Minnesota is building a great defensive line, has a promising young quarterback and should get back one of the greatest running backs of all time in Adrian Peterson. Detroit, St. Louis and San Francisco all still have the pieces in place to have dominant defenses. Nick Foles should be an upgrade on Shaun Hill in St. Louis. Yes, these were the three cellar dwellers from a year ago. No, they aren't likely to all remain in the cellar again. That's just not how this works. The three teams landed in this tier because they have the furthest to go for a playoff spot. We could easily see any of the teams in the tier above winning a playoff game, but it's tougher to imagine with this trio. The Bears and Bucs are in this tier because of roster holes. Tampa continues to re-start on offense, and Lovie Smith's defensive principles hardly took hold last year. Chicago has a quarterback it doesn't want and a defense bereft of talent. Washington brass can't get on the same page regarding their quarterback situation, and the drama feels too familiar. The top of the NFC feels familiar as well. 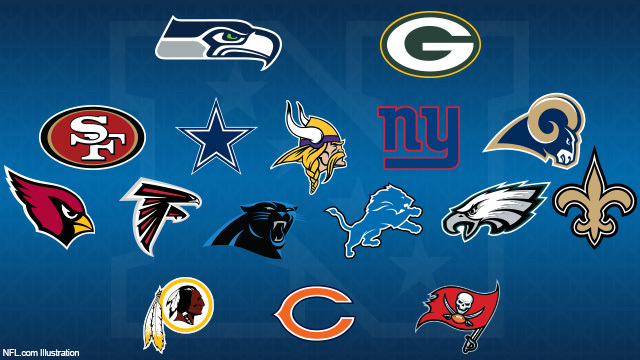 It's up to the other 14 teams in the NFC to prove us wrong.